Our Dual Rail Accessory Platform features a preinstalled bracket on one of the rails for the M-3/M-6 family of lights. 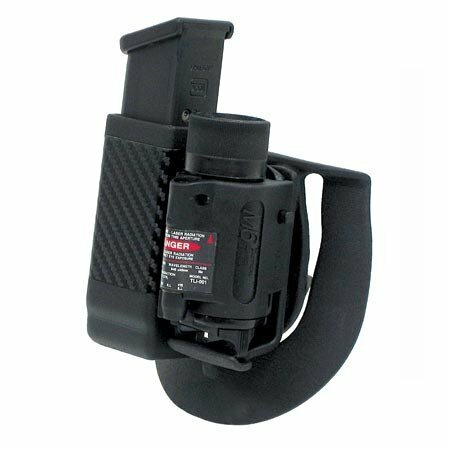 If you don't want the M-3 holder, simply remove it and mount another accessory of your choice. Available in both paddle and belt-loop models, these Dual Rail Accessory Platforms give you limitless carry options. SHOWN WITH MAG POUCH AND LIGHT CARRIER.